Every Can Counts aims to help people to recycle the drinks cans they use when they are at work, college/university or just ‘out and about’. We help employees to recycle at work, we help students to recycle at college or university, we help to recycle cans at events like music festivals and at tourist attractions. 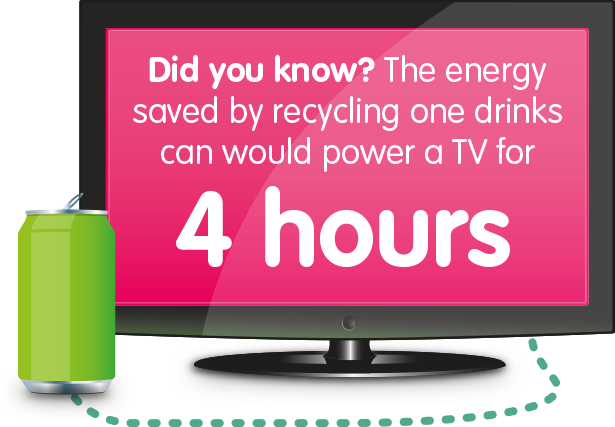 We are here to help anyone who wants to get their staff, customers or visitors to recycle drinks cans wherever they are. One in every 3 drinks cans sold in the UK is drunk outside the home. The metal these cans are made from is endlessly recyclable, so it’s important that it is saved rather than dumped. Especially when you consider that each can could be recycled and be back on sale as another can – in just 60 days. Every drinks can recycled cuts the carbon footprint of the next can made – so every can recycled really does count! We might be in the habit of recycling at home, but it’s not as easy to find recycling points when we’re on the go. Every Can Counts has been developed by the drinks can manufacturing and recycling industry to help try and bridge that gap, increase the number of can recycling points and raise the recycling rate for can recycling. 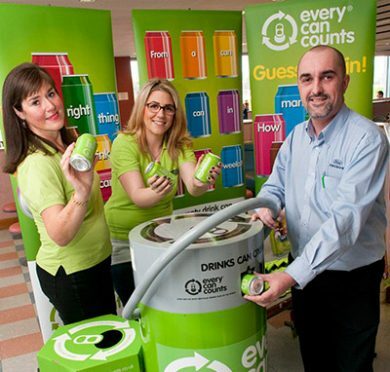 In Ireland, Every Can Counts has set up recycling points across the country helping all types of organisations and encouraged recycling at major events. We can help with finding a recycling service provider, promoting recycling to the staff or customers or simply provide free resources such as our stickers to liven up your existing recycling bins, posters for display boards and information for your company intranet. Users of Every Can Counts don’t just find their drinks cans recycling improves when they implement the programme, in fact the impact of the programme boosts collections of other recyclables, like paper, cardboard and plastic.